After storming out of the gates with a 7-2 first-semester record, Mount Allison’s women’s volleyball overcame second-half adversity, finishing the regular season with a 12-9 record and setting themselves up as the third seed for the ACAA championship playoffs. Mt. A ended the season with two Mounties receiving ACAA All-Star honours. Freshman Rachel McDougall made the First Team All Conference and sophomore Rachel Van Gestel was named to the Second Team. In addition to these honours, McDougall received the ACAA league Rookie of the Year award, along with being named an All-Canadian. McDougall led the league in kills and points scored. The women’s volleyball team served up a regular season to build on for future years. The team had a fiery start: after dropping their first game, the team adopted a “‘let’s-go-in-and-let’s-get-this-done’ attitude,” Van Gestel said. The Mounties went on to win seven straight games, ending the first half of the season with a 7-2 record. In the second half of the season, the team’s form dropped, as they had five wins and seven losses in the months of January and Febrary. This included dropping a match against Université de Saint-Anne, who finished the season sixth in the league. The Mounties were able to turn their mid-season slump around, finishing the regular season with a two-game winning streak. The Mounties entered the ACAA playoffs, hosted at Dalhousie Agricultural Campus from Feb. 24-26, as the third seed, where they got the chance to play Université de Saint-Anne once again. This time the Mounties made a statement, sweeping them three sets to zero and putting themselves into the semifinals with the ambitions of qualifying for nationals. 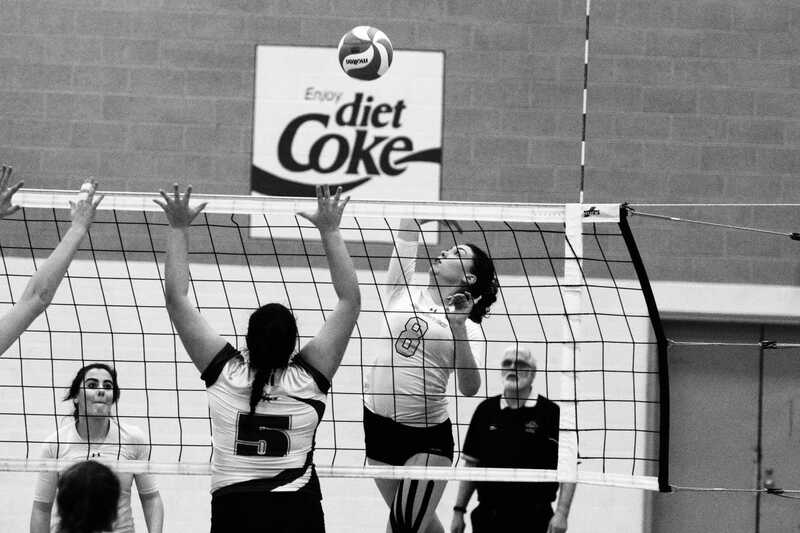 In the semi-finals, the Mounties came up short against Holland College, losing in three straight sets. Head Coach Paul Settle was more than impressed by what this young team has accomplished this season, especially going forward to next season. “Another standout for this season was the play of our libero Melissa McAnsh, who in my opinion was one of the best liberos in our league,” Settle said. It should be no surprise that the Mounties will be contending for the championship next year. With everyone returning, McDougall will look to continue her dominance in the league. “We’ll be a stronger team next year,” she said. A key factor that will help out the Mounties next season is experience. “With the number-one ranked team for the last several years, Mount Saint Vincent, losing all but one of their starters, I believe that first place is very attainable this upcoming season,” Settle said. Looking ahead into next season, the Mounties now have both youth and experience. It is clear that this season has solidified the Mounties as a top team in this league. It’ll be no surprise that they will be contenders this upcoming season.